Project MAP, Mentor A Pirate, is a scientifically-based approach to teaching students to improve their reading skills. This is accomplished through one-on-one tutoring sessions for 30 minutes per day, 4 days each week. 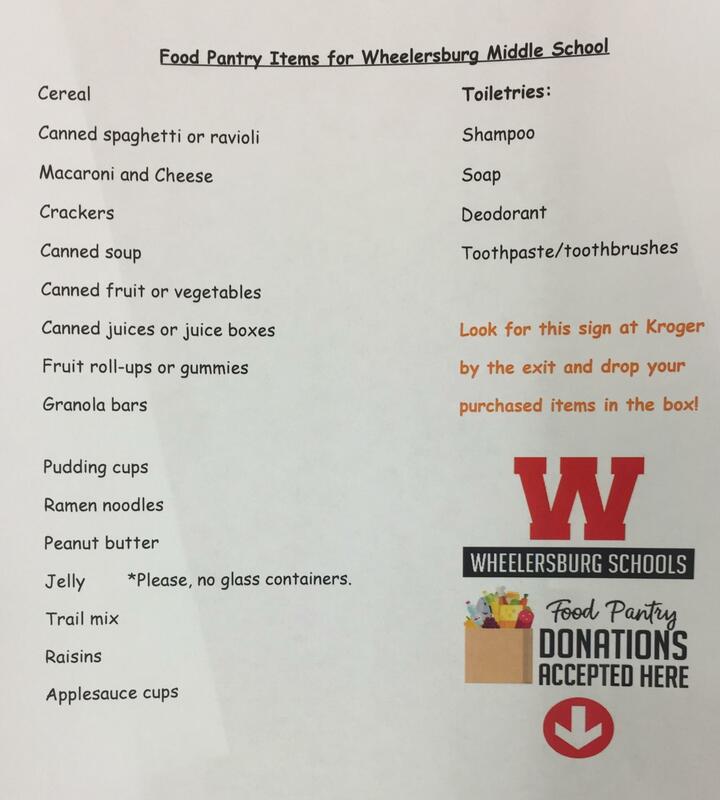 Nearly 70 community members of Wheelersburg and the surrounding area served our elementary students last school year. 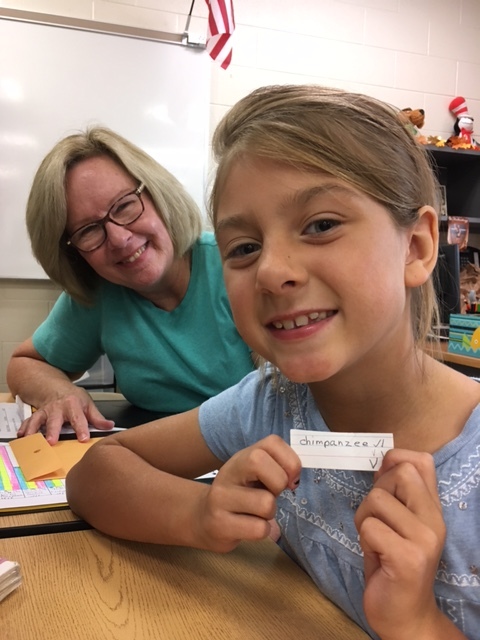 It is because of their efforts and loyal support that our students continue to do well on both standardized and local language arts assessments. As coordinator of Project MAP, Mrs. Green recruits and trains mentors from the community and high school. 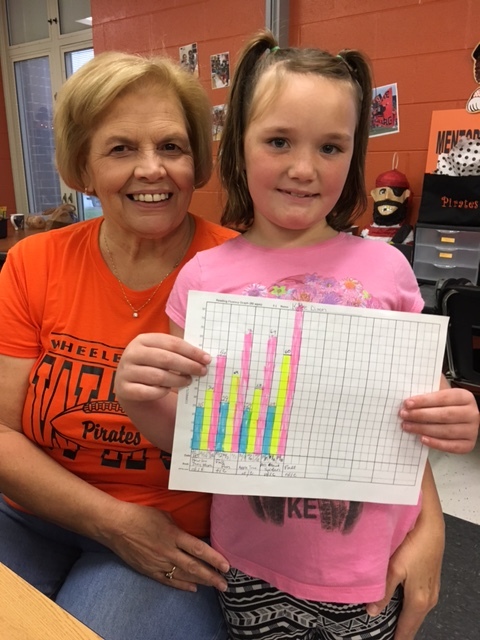 She prepares daily individualized lesson plans for each student who is served in the mentoring program. 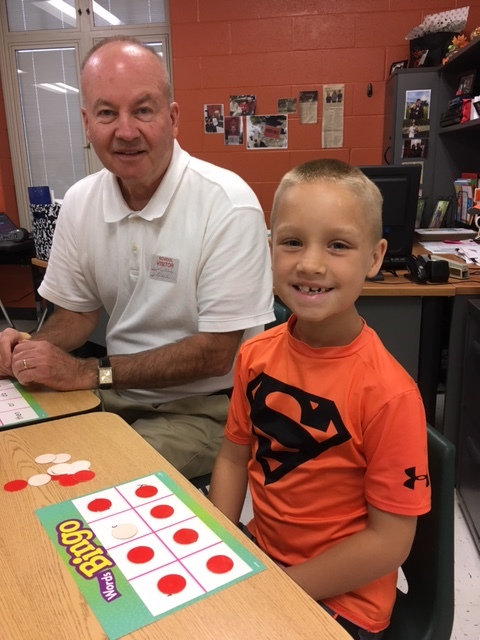 If you are interested in becoming a reading mentor, please, call Tina Green at 740-574-0641 or e-mail: tina.green@wheelersburg.net. You may complete the volunteer form attached to this webpage. This is your chance to make a difference in the life of a child! *Project MAP has served as a model for other Ohio districts and has even been visited by U.S. Congressman Bill Johnson, Dr. Richard Ross, the Ohio Secretary of Education, and Kim Hettel of the Governor’s Office of Faith-Based Initiatives. 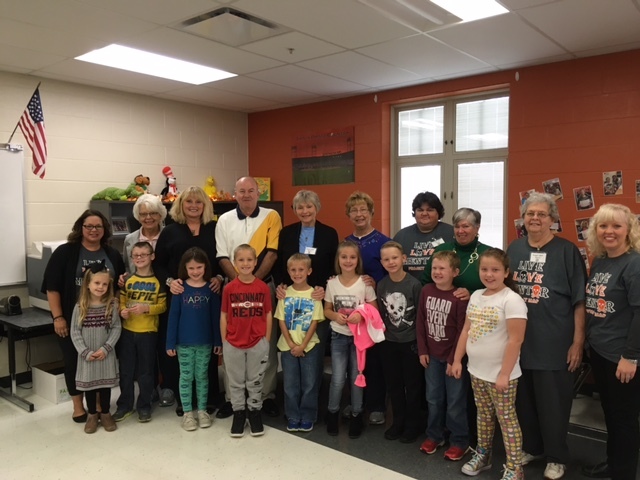 In addition to these funds, Project MAP participated in a case study with Reading A-Z which, in turn, provided one-year subscriptions for six classrooms at Wheelersburg Elementary School. Mrs. Green partnered with Reading A-Z and OCECD to write an EIR federal grant for mentoring programs across Ohio. Make a difference. Mentor a Pirate! Would you be willing to put a smile on a student’s face? Do you have 30-60 minutes a week to spend time helping a child to learn to read? If so, do we have a place for you?!!! 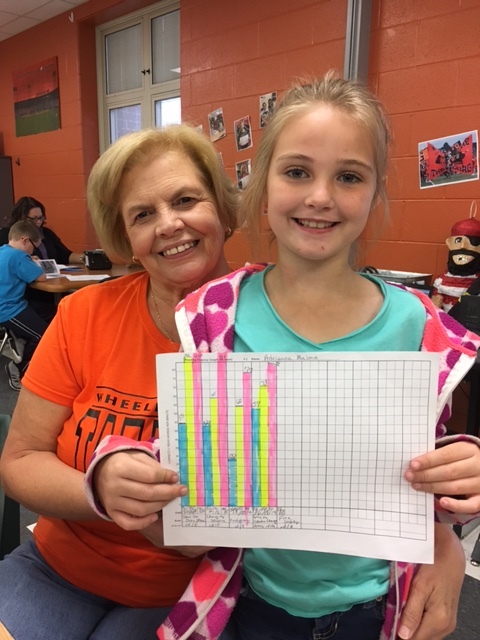 The Project MAP program is expanding to include fourth and fifth grade students at Wheelersburg Middle School! You have something to offer—volunteer! The more volunteers we have, the more students we can help. Mentoring for the middle school students will occur in the afternoon on Monday-Thursday. 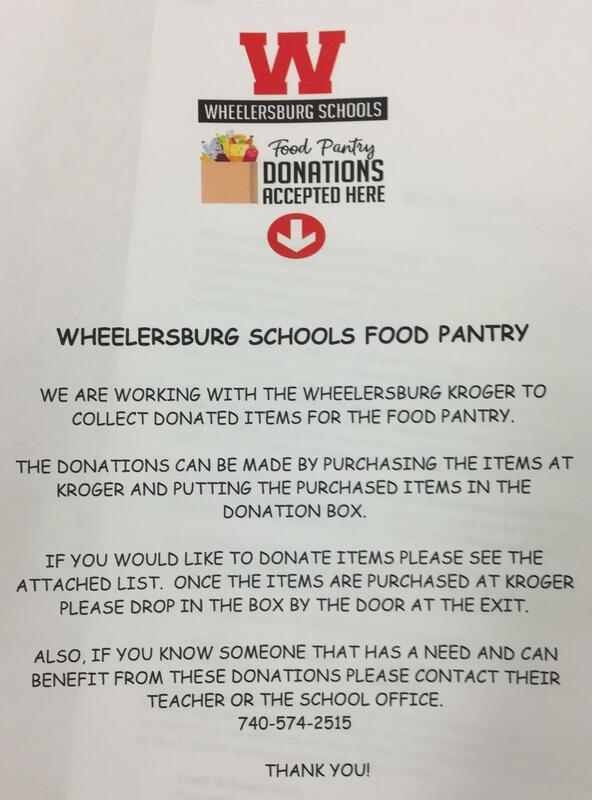 For more information, call: Mrs. Tina Green, Project MAP Coordinator, at 740-574-0641 / 740-935-8539 or e-mail her at tina.green@wheelersburg.net. Fill out the attached form and send to Mrs. Tina Green.